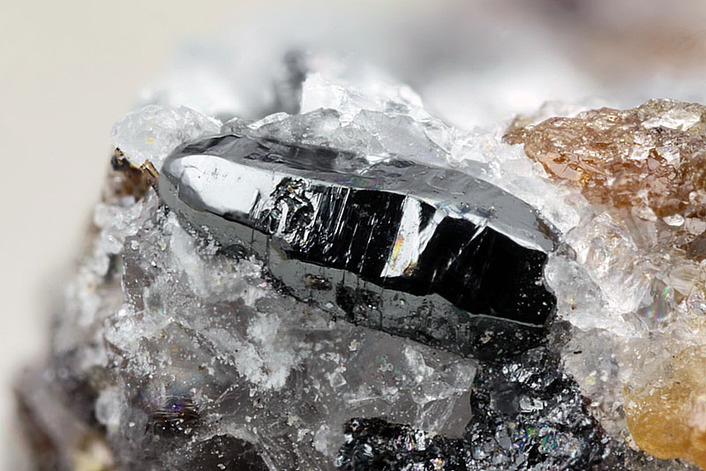 Magnetoplumbite: Mineral information, data and localities. In allusion to its MAGNETic property and lead (Latin = PLUMBum) content. Crystals stteply pyramidal, doubly terminated. Phlogopite 3 photos of Magnetoplumbite associated with Phlogopite on mindat.org. Manganophyllite 3 photos of Magnetoplumbite associated with Manganophyllite on mindat.org. Caryinite 3 photos of Magnetoplumbite associated with Caryinite on mindat.org. Berzeliite 3 photos of Magnetoplumbite associated with Berzeliite on mindat.org. Manganberzeliite 3 photos of Magnetoplumbite associated with Manganberzeliite on mindat.org. Celsian 2 photos of Magnetoplumbite associated with Celsian on mindat.org. Melanotekite 2 photos of Magnetoplumbite associated with Melanotekite on mindat.org. Andradite 1 photo of Magnetoplumbite associated with Andradite on mindat.org. Aminoff (1925), Geol. För. Förh. : 47: 283. Palache, Charles, Harry Berman & Clifford Frondel (1944), The System of Mineralogy of James Dwight Dana and Edward Salisbury Dana Yale University 1837-1892, Volume I: Elements, Sulfides, Sulfosalts, Oxides. John Wiley and Sons, Inc., New York. 7th edition, revised and enlarged: 728. American Mineralogist (1951): 36: 512-514. Neues Jahrbuch für Mineralogie, Monatshefte (1980): 4: 141-148. 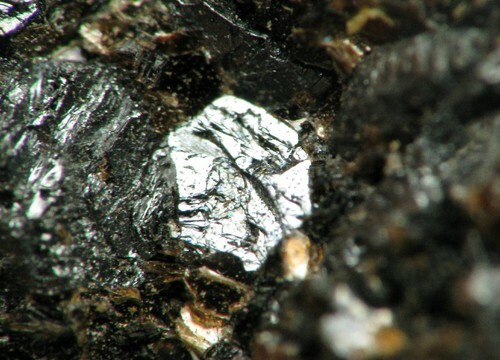 American Mineralogist (1989): 74: 1186-1194. Holtstam, D. (1997): Barian magnetoplumbite from Mangruvan, Örebro, Sweden. GFF. 119, 17-19. Aminoff (1925) GFF vol. 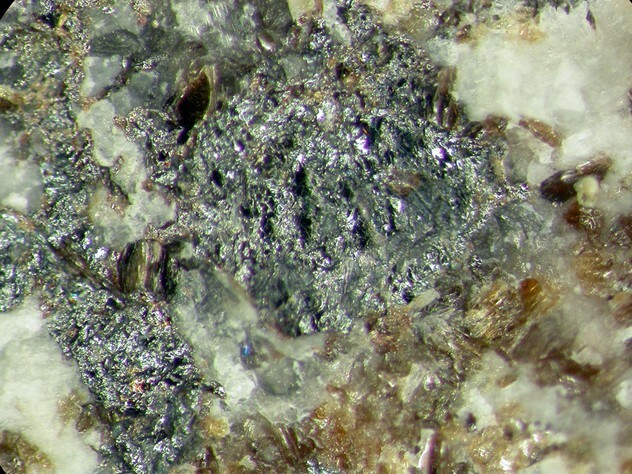 47, 283-289; Nysten, P., Holtstam, D. and Jonsson, E. (1999) The Långban minerals. In Långban - The mines,their minerals, geology and explorers (D. Holtstam and J. Langhof, eds. ), Swedish Museum of Natural History and Raster Förlag, Stockholm & Chr. Weise Verlag, Munich, pp. 89-183.